Sadly things aren’t going too well in the Enchanted Woods. Red Riding Hood, the Three Pigs, the Giant and Little Bear are amongst the characters who have a problem. They all write to the Fairy Godmother to see if she can help them out with their problems. This is a fun take on a whole bunch of fairy tales. 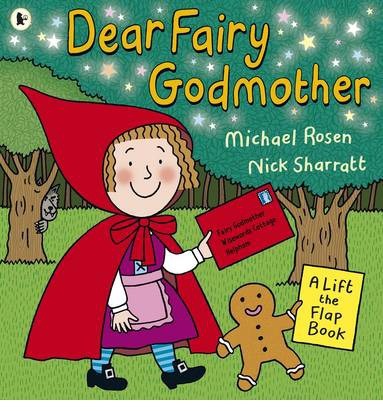 A heap of characters write letters to the Fairy Godmother and she answers their questions. A thoroughly entertaining book filled with delightful little twists. It’s format is interactive as the illustrations show both the problem and the Fairy Godmother’s solution through the use of lift-the-flap panels. Entertaining fun.